Meet 2013 Smokies Wilderness Elite Appalachian Trail Crew Leader Amy Allamong and Camp Coordinator Kayah Gaydish! This summer the crew will tackle the hard to reach sections of the A.T. deep in the Great Smoky Mountains. This is a very challenging crew with up to 12-mile hikes and camping in the backcountry of the park so you must be prepared. There are still spots available for most of the eight 6-day sessions, so check out the schedule and come join the S.W.E.A.T. crew this summer! Click here for details and to register, read the blog, or call 828-254-3708 with questions. June 1-July 23 the Blue Spiral 1 Gallery in Asheville, NC is mounting an exhibit of art that has been inspired by the A.T. Eight regional artists are featured with works in painting, photography, pastel, and mixed media. Ten percent of proceeds from sales of these works will be donated to the ATC. You're all invited to come see this exhibit which was organized in advance of the Biennial Conference to raise awareness of the Trail. 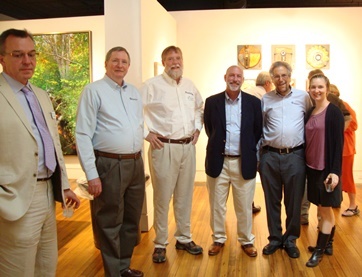 Pictured enjoying the Opening on May 31 are ATC folks (L-R): Royce Gibson, Bob Almand, Morgan Sommerville, Mark Wenger, Lenny Bernstein and Julie Judkins. Congratulations to Morgan Sommerville, ATC’s Southern Regional Director, for receiving the 2013 State Trail Advocacy Award from American Trails! The award is given to an individual that has demonstrated successful efforts to influence public policy relating to trail planning, trail protection, trail development, or maintenance. We all know that Morgan more than qualified on every count. Click for details. Volunteers from Carolina Mountain Club and the Appalachian 4X4 Club, along with the US Forest Service Appalachian Ranger District, private contractor Evans Grading, and ATC partnered to fix damage done by vandals this spring on much beloved Max Patch on the A.T. CMC's Dwayne Stutzman reported that 8 CMC members worked with others in 39 degrees, 35-40 MPH winds, sleet and heavy fog. 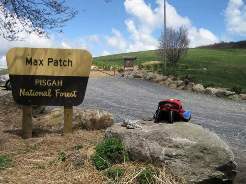 They "...did a LOT of work...cut approximately 375' of new trail, installed 16 5' rhododendrons, and resodded 150' of ruts on the face of Max Patch and other spots where the rogue 4WDers had torn up the sod...all in all another nice day on Max Patch." Eleven individuals have been cited and fined for the damage (click for details). We're delighted to welcome Kat Keely to the Roan Ridgerunner position this summer. ATC, Tennessee Eastman Hiking & Canoeing Club, the US Forest Service, and Southern Appalachian Highlands Conservancy are partnering to fill this new position. It was created to address concerns about recreational impacts to the grassy balds and sensitive plant and animal species. 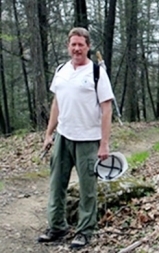 Primary responsibilities include educating visitors about the unique ecology of the area and encouraging them to tread lightly when hiking the Roan Highlands. Kat brings a wealth of experience to the Trail and a sparkling personality to boot. If you see her on the Trail this summer, be sure to say hello and ask how you can help. ATC wishes to extend a 'Thank You' to Altamont Brewing Company for helping to raise nearly $1200 in the month of May. Altamont featured ATC in their Charity Pint of the Month program, donating $1 to ATC for every pint of a featured beer sold throughout the month. Altamont also hosted the Cinco de Hike-O event on May 5, which raised $500 in raffle ticket sales. We are truly grateful for the Altamont Brewing Company's generosity and commitment to the A.T. This past May, several ATC-SORO staff and volunteers participated along with 100+ others in the 2013 Wilderness Skills Institute (WSI) held at the Cradle of Forestry in Pisqah National Forest. Started in 2012, the WSI features a two-week program designed to provide volunteers and agency and partnership staff free educational and skill certification opportunities in areas related to Wilderness Areas work, trails management, and stewardship. 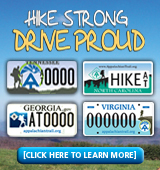 The Institute is a partnership of ATC, the USDA Forest Service and the Southern Appalachian Wilderness Stewards Program of The Wilderness Society. Click to learn more. 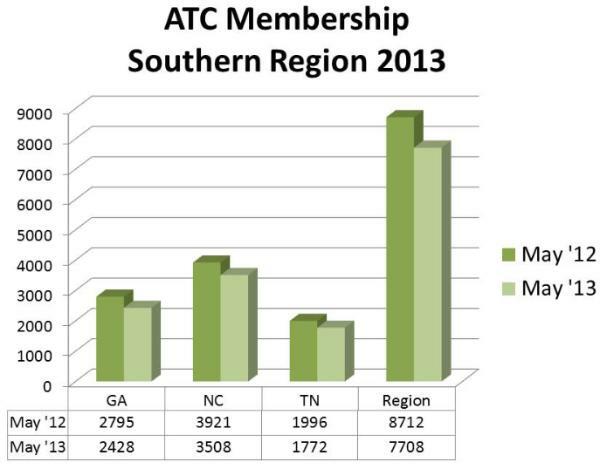 Please help us grow ATC's membership! Encourage a friend to join or buy a gift membership for a friend or family member. Happy Trails from all of us! Click on club icons above for details and contact person. CMC - Irregular schedule, check website. GATC - every 3rd Sat. SMHC - 1st Sat. of most months Mar.-Nov.
TEHCC - every Tues., 3rd Sat.